We had a very "local" weekend, not wanting to travel too far (and with it being close to the end of the month, low on funds!). On Saturday we went to Tyntesfield, one of our local National Trust properties. We visit quite a bit, we don' tend to venture into the house, just explore the grounds with Ethan. 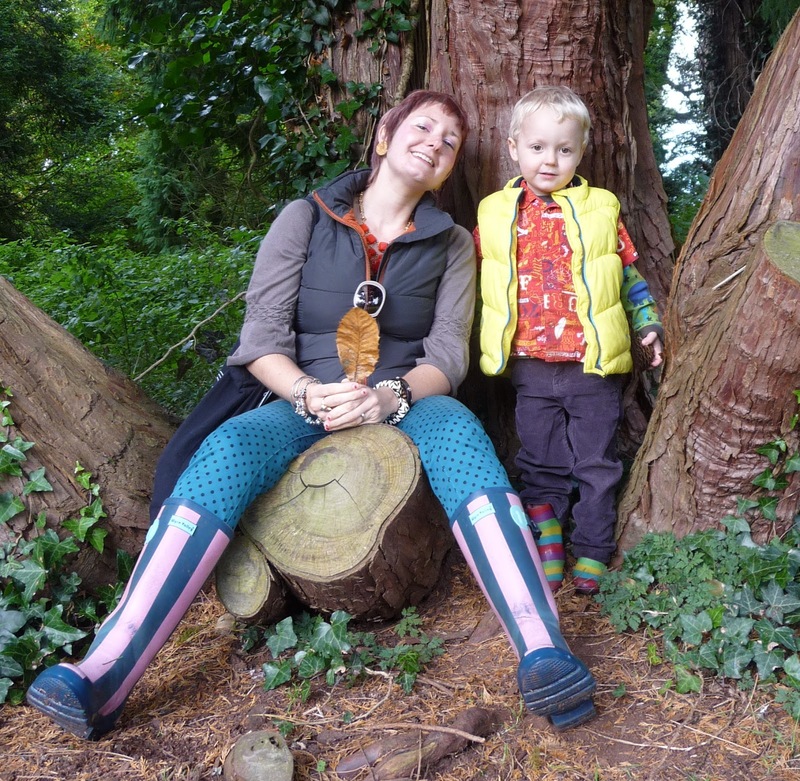 Tyntesfield is great for children, there is a play area with a farm theme and loads of grounds to explore, old greenhouses to poke around and two cafes for cake and tea. A lovely way to spend an afternoon! The starting point for Ethan's outfit was his cute Quicksilver shirt which I picked up in a Charity shop on Friday. I was so pleased to find it, I know it's going to be an all year round staple! The cords he's wearing are from Vertbaudet and were given to us to feature on the blog. Ethan has been wearing them a lot. I love cords because they can be casual, but also smart, smarter than jeans which sometimes you want! They are very hard wearing as well, he's got them muddy several times! Wellies - bought in France. 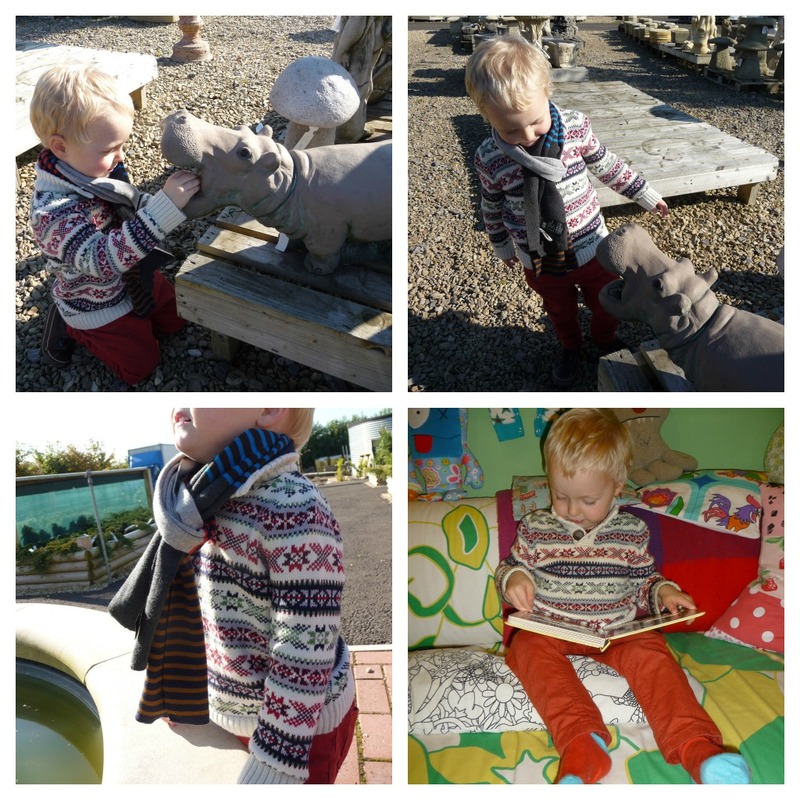 On Sunday we had a very quiet day, we ventured to a garden centre. 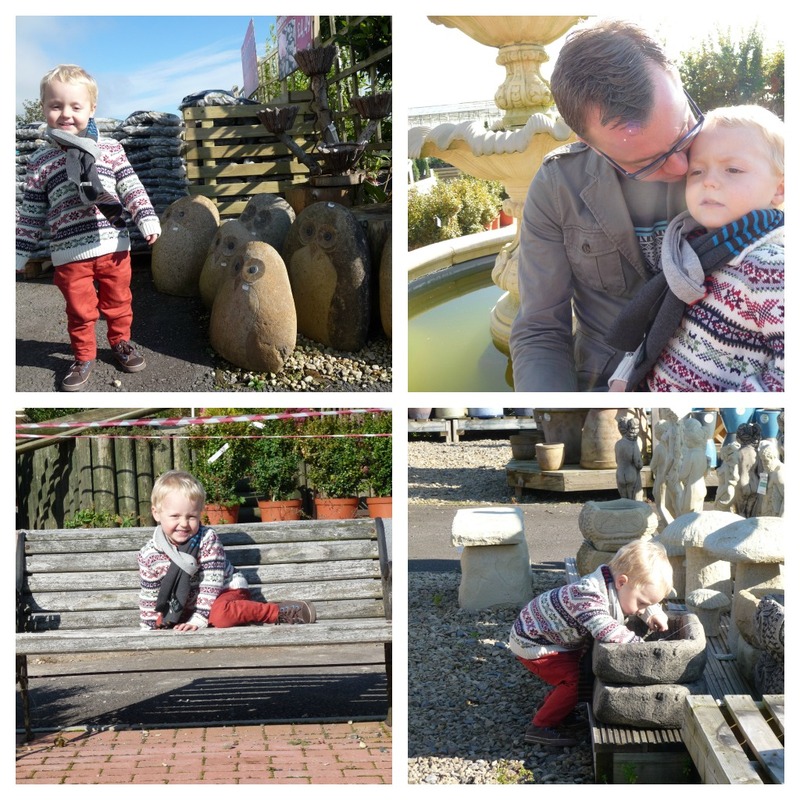 Ethan loves garden centres, he likes to do "tree races" (running between the rows of trees!) and look (for hours) at all the garden ornaments/stone oddments etc. He especially loves filling them with stones! We over indulged with cake at the cafe after, it was soooooooo good! I love this jumper. When I saw it TKMaxx I knew it would be coming home with me. It's so perfect for the cold months, and a little bit old fashioned. I think it works perfectly with these orange jeans. I want to thank you all for sticking with me for TTT. I know things have been a bit all over the place over the last few weeks, but I don't want to let TTT slide. Hopefully today sees things being back on track. Please use the linky to join in and spread the word! Love the sweater (I think you call it jumper?). Perfect for winter. Greetings from NY.